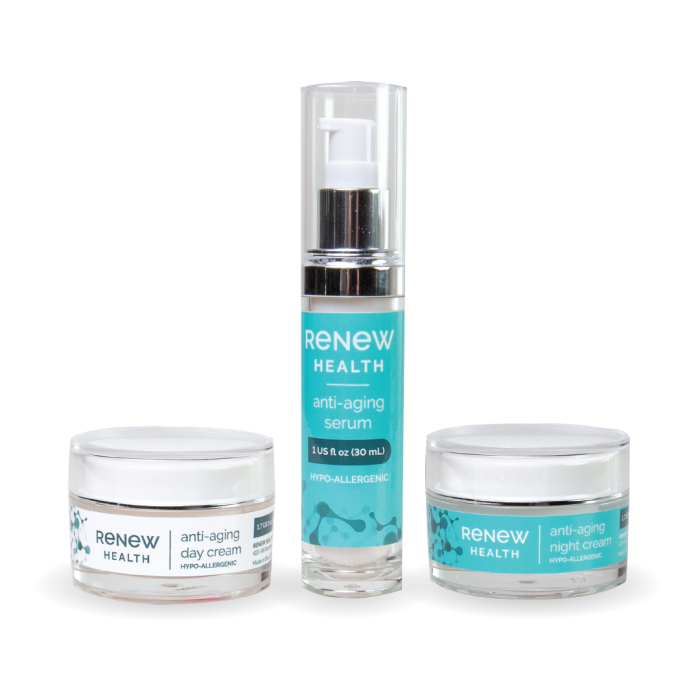 Take your Renew Health regimen to the next level with our entire anti-aging line. Round-the-clock hydration and repair will have your skin firm and glowing in no time. Apply morning and night to cleansed face, neck, and décolletage before moisturizing. 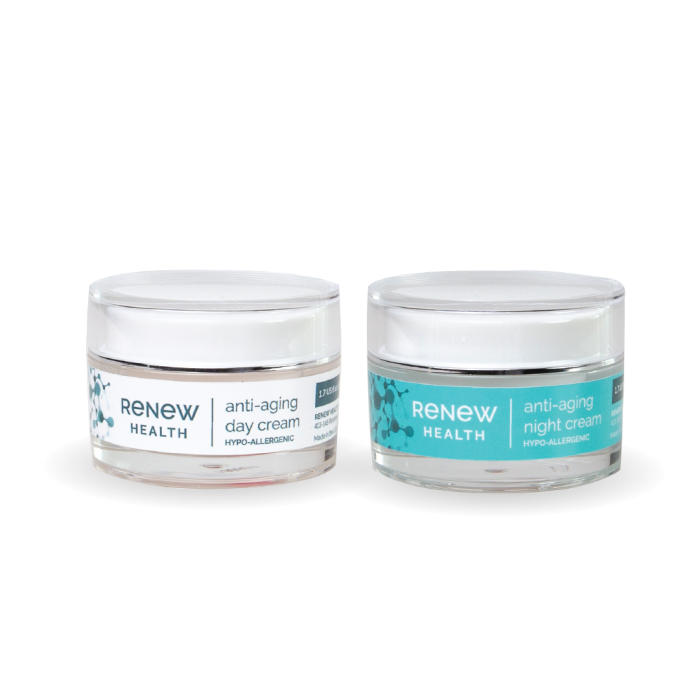 For best results, pair with Renew Health Anti-Aging Skin Cream. This serum contains Vitamin A which may increase skin’s sensitivity to the sun, the use of sunscreen or limited sun exposure is recommended while using this product. Gently massage onto clean face, neck, and décolletage. 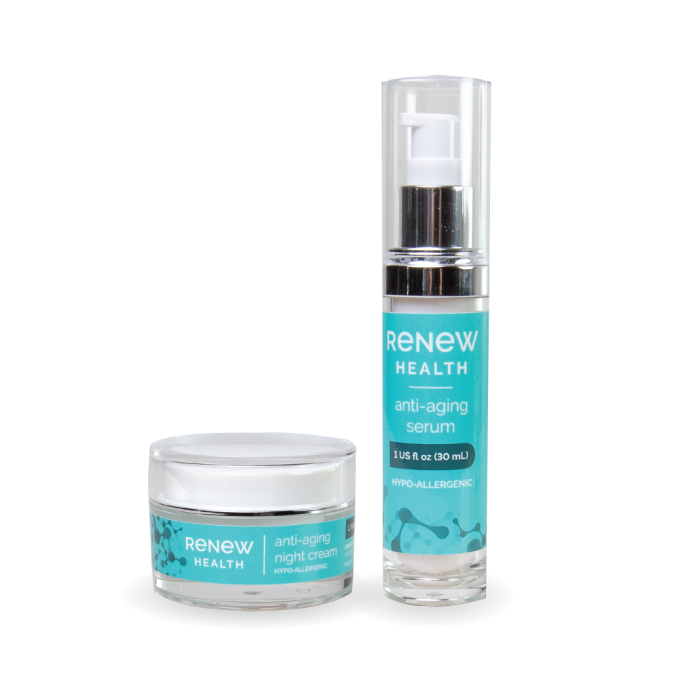 For best results, use after Renew Health Anti-Aging Serum. Gently massage onto clean face, neck, and décolletage. 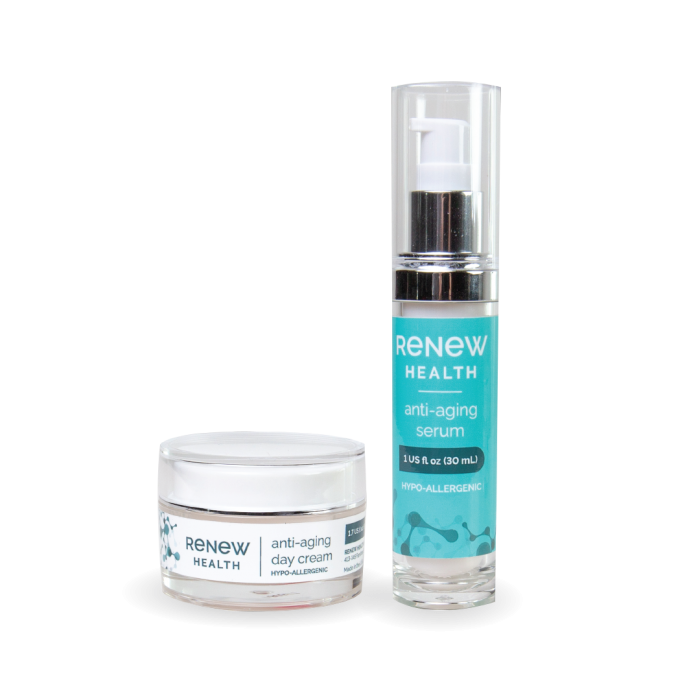 For best results, use after Renew Health Anti-Aging Serum. This product contains Vitamin A which can increase the skin’s sensitivity to sunlight. Avoid prolonged exposure to sunlight using this product. If desired to use during the day, daily sunscreen is recommended. If you’re not completely satisfied with our products for any reason, new or gently used items can be returned or exchanged within 30 days of purchase (excluding shipping and handling costs). 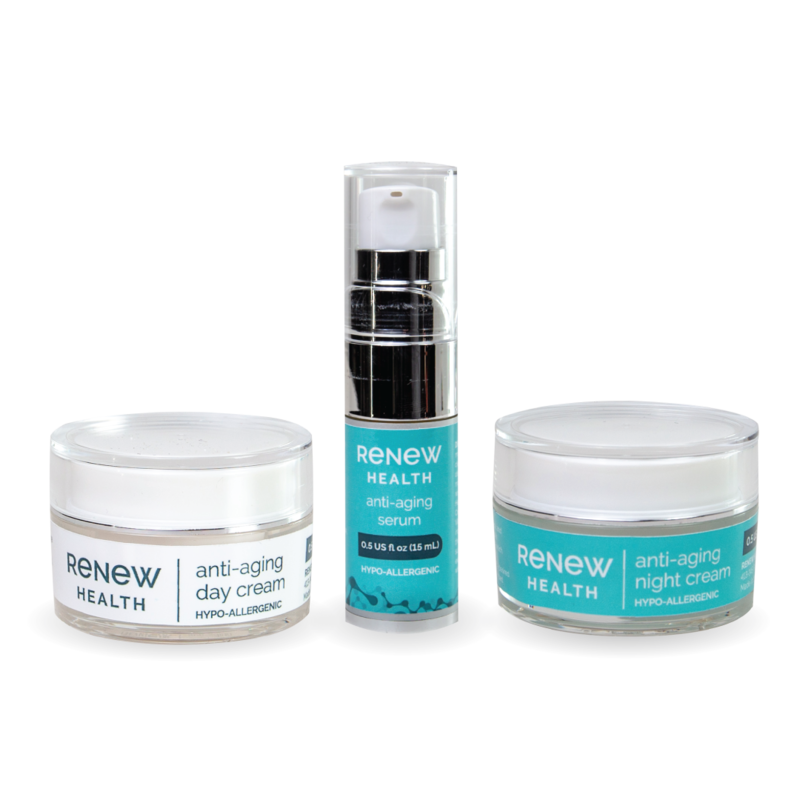 For refunds, please contact our customer support team at info@renewhealth.ca and we’ll ensure your purchase is refunded with no questions or hassle. Subscribe to receive promotions and discounts.